Aston Villa climbed to fourth after defeating their hosts 1-0. Steve Bruce reserved praise for Scott Hogan and Robert Snodgrass after the pair combined to create the only goal of the game in Aston Villa's victory over Nottingham Forest. After a barren spell in front of goal, Hogan has now scored two in two. Bruce explained, "I am delighted for Scotty. He was a big money signing but had three injuries and has been really unlucky. Like any striker, they need a goal and you could see confidence oozing out of him when he scored. Let's hope the second half of the season can be Scotty's because he looks a great player again." Robert Snodgrass produced an excellent display on the right flank and Bruce admitted, "Snoddy is now showing the form that makes him a very, very good player and he was excellent today. He is enjoying his football which is great for him. We would love to sign him permanently but we need to get promoted to make it happen as he will be a lot of money." The former defender believed that the extra experience in his squad plaid dividends. "The experience told and the number of fouls Snoddy in particular drew was remarkable. His opponent [Armand Traore] tried not to knock him all over the place." 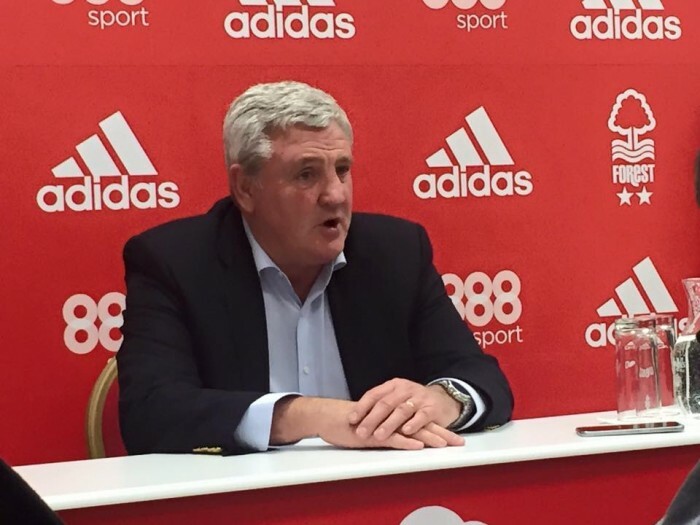 "We are in a good position"
Bruce has been happy with how his team have played so far this season. "There's been a level of consistency about us that has got us to where we need to be. We are in a good position. We have to be there or thereabouts and we are in the mix." However, the Aston Villa manager also admitted that his side have some injury concerns. "Glenn Whelan twisted his knee from the block and he would not come off unless he was really injured. Jonathan Kodjia looks unlikely to feature again this season."